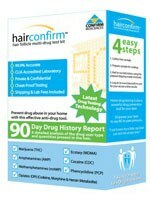 If you’re looking for the ultimate in safe, effective, and affordable marijuana test kits - you’ve found it! Our marijuana/THC test kits screen for traces of THC in your system so you’ll know if you have been exposed to any significant levels of toxins prior to a drug test or health screening. Marijuana urine tests often provide the most accurate results, so we offer an accurate test that delivers results in just five minutes! 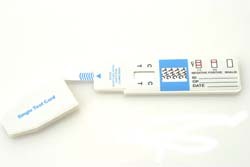 Just dip the test strip in your urine sample, wait a few minutes, and then view the results. One line means a positive result, while two lines indicates that your THC levels are not high enough to trigger a positive on a drug test. Any marijuana concentration of over 50 ng/ml will show positive on our tests. These 99% accurate tests are available for immediate delivery and are offered at factory direct prices. Order today, test right away, and verify that your toxin levels are at an appropriate level. Contact us today for more information - or simply place your order to get started immediately. NEGATIVE: Two lines appear. One colored line should be in the control region and another apparent colored or a faded colored line adjacent should be in the test region. This negative result indicates that the drug concentration is below the detectable level. NOTE: The shade of the test line region will vary, but it should be considered negative whenever there is even a faint colored line.